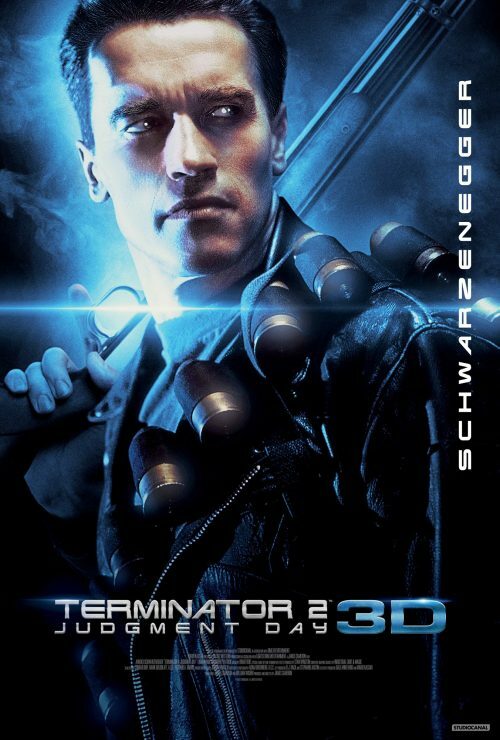 Friday saw the announcement of James Cameron’s 3D re-mastering of Terminator 2: Judgment Day. Today we are proud to announce the UK release date courtesy of STUDIOCANAL. That being August 25, 2017. The project was initiated by Lightstorm (lei), James Cameron’s production company, DMG Entertainment and STUDIOCANAL. James Cameron’s team oversaw this 3D conversion from start to finish. This highly experienced and award-winning team had already supervised Titanic’s 3D conversion and is currently working on the Avatar sequels. The original 35mm negative was scanned and then restored in 4k at Deluxe L.A., under the supervision of Geoff Burdick, Lightstorm. The film was calibrated in 4k by Skip, James Cameron’s colorist, at Technicolor Hollywood, with a selection of the best 35mm prints from the film’s first release. The film was then converted into 3D by Stereo D (Star Wars, Avengers: Age of Ultron, Jurassic world).